Every year thousands of shipping containers are discarded either because it is too expensive to ship these back to the port of origin or because of ageing they do not meet the Standards for transportation. Being modular in shape and structurally sound, the containers offer a very flexible mean of creating work/living space. These can be easily cleaned, repainted, and insulated and stacked one over another. Designed to carry heavy loads, the stacks are very stable and the steel walls provide a high level of security. 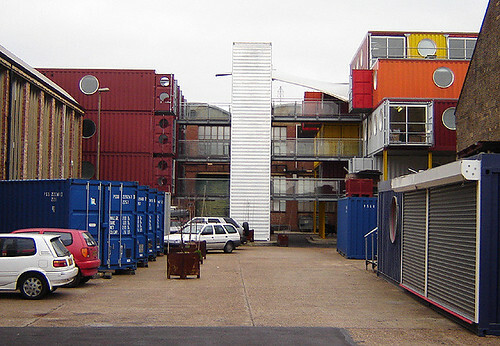 A few years ago architects started re-using these containers initially as temporary site offices and later as a more permanent office/work space and low cost housing. Container City 2, seen in the above image on the right side, was built in 2002. In the words of its developer it was "an extension as well as evolution of the first building". 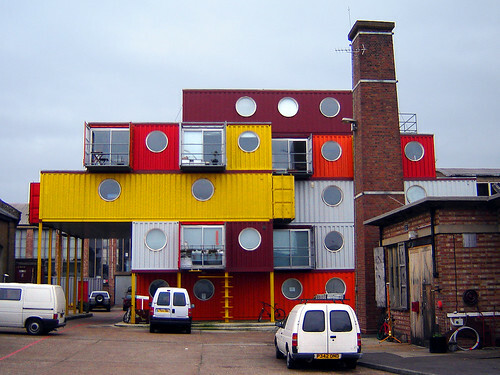 It used 30 containers to create 22 studios at 5 levels. The Riverside Building is the latest addition to the complex and it is located on the banks of River Thames opposite the O2 (Millennium) dome. 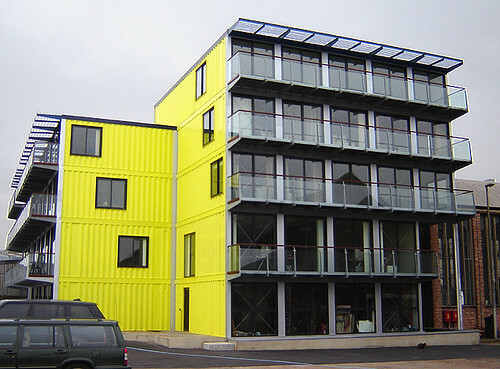 Completed in 2005 it used 73 containers to create 22 units spread over 5 floors. I think these container houses are awesome. Times are very hard all over the world and I would be interested in knowing what the actual cost is for such a home...it could be the very solution for housing for the homeless everywhere...I am intriqued myself and would love to see the inside of one. I have just been traveling all over thanks to you bringing it to all who click on to your blog.